A fully certified company, Select Products is FENSA registered whilst also being a member of FairTrades, so we are fully qualified to offer a comprehensive insurance backed guarantee on all our work. All our uPVC and timber windows are BFRC energy rated and as Planitherm installers, we can provide you with windows that are highly energy efficient. We can supply you with quality conservatories, windows and doors, and whatever your preferences, you are sure to find the perfect double glazing for your home courtesy of our online quote builder. Our online quote builder features a range of timber and uPVC windows and doors. Browse through our attractive collection, and get instant online prices for your favourite styles. Access our website to begin your free online quote. 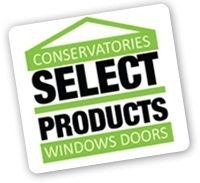 Here at Select Products, we also offer a choice of conservatories, fascias, soffits and guttering - all available in a range of colours. Call us today on: 0113 2578933 and a member of our team will be happy to help with your enquiry. Find us on Checkatrade.com we are a proud member and our reputation is important. Welcome We are a well established reputable local family business with thousands of satisfied customers. We install high quality energy efficient Windows Doors Conservatories and Rooflines in timber and uPVC throughout the Leeds Harrogate Wetherby and Yorkshire area. Our uPVC and timber windows are BFRC energy rated which help reduce your heating bills and are environmentally friendly. As Planitherm Installers we install the MOST ENERGY EFFICIENT windows available. Special high security locks are standard features to keep out unwanted visitors. About Us We are a friendly, family run window, door and conservatory business. 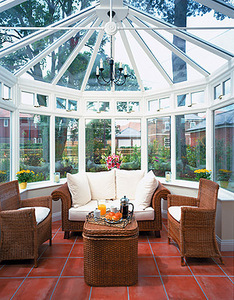 Specialising in the installation of double glazing, windows and conservatories in PVCu and Timber. We provide quality workmanship and fantastic value for a quality service. We are Fensa registered, Trustmark endorsed and a member of Fairtrades. Installing throughout the West Yorkshire region, we are specialists for energy efficient double glazing, high security replacement windows and conservatories in Leeds, Bradford, York and Harrogate. All work is covered by HomePro Insurance backed guarantees. We're also proud to be approved and recommended by All Craftsmen, a UK network of some of the industry's best installers. All Craftsmen have inspected the quality of our products, the standard of our installations and the professionalism of our service. They've also checked and compared our prices to those offered elsewhere in the industry. They've awarded Select Products a maximum 5 star rating for Quality, Service and Value. Our Conservatories, Orangeries and Sun Rooms will enhance your home and give it a completely new dimension with the help of our advice and fully trained builders, joiners and installers. We offer bespoke designs in UPVc or Timber to suit your every need. New woodgrain foil finishes in PVCu are now available giving you a maintenance free timber look conservatory. We offer a total package which includes free quotations and site survey and an individual design service to include flooring, heating, lighting and external work if desired. Homes can be further enhanced by replacing your drafty, old existing external windows and doors which we provide in a wide range of styles, colours and finishes with high security and multipoint locking systems. Windows and Doors Its not just about keeping out the weather. A carefully chosen window can also enhance the appearance of your home. Our extensive range offers a whole array of window design to blend perfectly with your home. Each of our window frames is individually designed to include structural strength and excellent thermal, acoustic and drainage properties. We offer a choice of glazing units for optimum thermal and sound insulation and a choice of internal and external glazing beads. Professionally manufactured and installed PVC-U windows are also an effective defence against intruders. High security comes as standard with all our products with features and accessories to repel all but the most determined professional intruder. If you're after something more in keeping with vintage properties or you prefer natural materials, our range of timber frames will both surprise and delight you with their high insulation and low maintenance efficiency. For a huge selection of quality timber and uPVC windows in Leeds, Harrogate, Bradford and York, come to Select Products double glazing showroom in Leeds, West Yorkshire. "We would like to thank you and your team for all the care and attention you gave to us; the whole process has been hassle free, which nowadays is very much appreciated. We are delighted with the windows and they have been much admired already"
Doors When the door of your home is every visitor's first impression, you really want that first impression to count. Whether you wish to add visual impact or simply blend in with the style of house, there is a door in our range to suit everyone. Choose from one of our lustrous woodgrain effects or, where the door has glass panels. A wide range of glazing options, functional or ornamental, together with a choice of door furniture is available to enhance the final appearance of your chosen door. Bring the outdoors inside and create a sense of space and light by adding Patio doors or French doors. All the style, durability, weather resistance and security as our windows and conventional doors. For a huge selection of quality timber, composite and uPVC doors in Leeds, Harrogate, Bradford and York, come to Select Products double glazing showroom in Leeds, West Yorkshire. "Both my Father, who was on site whilst the fitting took place, and I would also like you to know what a great job the fitters did - being extremely tidy, helpful and polite. The finishing off is brilliant. I wish all companies were as pleasant to deal with"
Trade Bodies / Associations Members of Fairtrades. Fensa Registered Company No. Members of Checkatrade. TrustMark approved. We are a well established reputable local family business with thousands of satisfied customers. We install high quality energy efficient Windows Doors Conservatories and Rooflines in timber and uPVC throughout the Leeds Harrogate Wetherby and Yorkshire area. About Us We specialise in the installation of double glazing, A+ rated replacement Windows, Doors and Conservatories in PVCu, Timber and Aluminium. We provide high quality workmanship and fantastic value for a quality service. We're also proud to be approved and recommended by Checkatrade.com, a UK network of some of the industry's best installers. Checkatrade.com have inspected the quality of our products, the standard of our installations and the professionalism of our service. 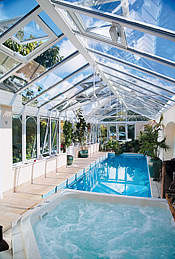 We offer bespoke designs in UPVc Aluminium or Timber to suit your every need. New woodgrain foil finishes in PVCu are now available giving you a maintenance free timber look conservatory. We offer a total package which includes free quotations and site survey and an individual design service to include flooring, heating, lighting and external work if desired. Each of our A+ rated window frames is individually designed to include structural strength and excellent thermal, acoustic and drainage properties. If you're after something more in keeping with vintage properties or you prefer natural materials, our range of high quality timber frames will both surprise and delight you with their high insulation and low maintenance efficiency. For a huge selection of quality timber and uPVC windows in Leeds, Harrogate, Bradford and York, come to Select Products double glazing showroom in Rodley, Leeds, West Yorkshire. Trade Bodies / Associations Members of Fairtrades. Fensa Registered Company No25947. Members of Checkatrade. TrustMark and Trading Standards approved. Which Trusted Installers official Ultra Installers.